It’s one of the most famous quotes in journalism: “Comment is free, but facts are sacred.” And, nearly a century after the Guardian editor C P Scott, wrote those words in an essay on the state of the media we’re drowning in comment in what some are calling a post-fact world. In a 12-day period between the 15th and 27th of this month the New Zealand Herald website alone published 100 articles labelled opinion. And newspapers have been joined by a proliferation of websites publishing opinion pieces. Sites like The Spinoff, Newsroom, Scoop, E-Tangata, RNZ and the Conversation – which publishes thought pieces by academics. But do all those opinion pieces make any difference? Well, last month economist and Sunday Star Times columnist Shamubeel Eaqub wrote a piece under the title: Changing Hearts and Minds One Column Inch at a Time. And in it he cited a recent Yale University study that found opinion pieces published in the USA’s leading newspapers do change people’s opinions. And Eaqub said that finding was in keeping with his own experience in writing about the housing crisis. First in the essay-length book, Generation Rent, which he co-wrote with his wife, Selena, and then in numerous columns and thought pieces. The Yale University study limited itself to op-eds – or thought pieces written by people other than columnists or staff writers. Of the 100 opinion pieces published on the New Zealand Herald website just 13 were op-eds in that sense. And the ratio on Stuff is similar. Who's setting the agenda in NZ? So who’s setting the agenda when it comes to op-eds in New Zealand? Well, not surprisingly academics – with their critics and conscience responsibilities – are well out in front. University of Auckland staff wrote 220 thought pieces for non-academic audiences in 2017. Victoria University wasn’t far behind on 150. But just four of those 100 Herald articles were written by academics – then there were the familiar names, people like Police Commissioner Mike Bush and Kim Campbell of the Employers and Manufacturers Association. There were a couple of money market types and Sam Johnson, best known for founding the student volunteer army and now a shareholder and employee of Mycare (a community-based elderly care company), wrote a piece extolling the virtues of caring for the elderly outside of rest-homes. Universities are not only contributing op-eds they’re helping fund their publications too. 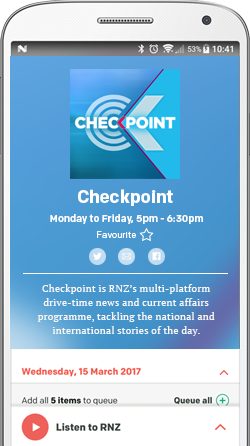 Victoria and Auckland universities sponsor Newsroom’s Future Learning section; four local universities are helping fund The Conversation’s New Zealand editorial operation; and the University of Otago sponsors the Spinoff's Atea section. So things can get a little testy in the op-ed world. But is there really anything other than egos at stake? The Yale study estimated the cost of ghost writing columns in the US at between $5000 and $25,000 – and that a similar amount of advertising space in the New York Times would cost $50,000. And then through a convoluted and complicated calculation the paper came to the conclusion that it cost between 50 cents and $3 to change an opinion. As far as Mediawatch is aware no one in New Zealand has done similar research, but there’s no doubt the figures here are a fraction of the US ones. RNZ, for example, pays comment contributors 40 cents a word for pieces on its website; and a freelance writer who has ghost written op-eds for commercial clients said he’d be surprised if anyone was paying more than $1000 per column. Ultimately, both in the US and here, many op-ed writers are more interested in influencing the opinions of decision-makers than the general public. And the stakes can be very, very high. For example, the upcoming decision on what planes should replace the Defence Force’s aging Hercules is literally a billion dollar question. And plane manufacturers are known to have spent thousands lobbying. So when Winston Peter’s former chief of staff David Broome wrote an op-ed for Stuff, last month, extolling the virtues of Hercules over the competition you’ve got to wonder whether the Wellington-based public affairs consultant has skin in the game. “Nothing of the sort,” he told Mediawatch. He’s just someone with an interest in military matters who needs to keep his public profile up. And it worked. Broome said a couple of MPs had mentioned to him that they had read it with interest. Grant Thornton – an international business consultancy – paid for a series of op-ed responses to the budget to appear on The Spinoff. Pam Newlove, a partner at the firm, wrote a piece advocating private public partnerships in the health sector; and, fellow partner Murray Brewer wrote one outlining work the company had done for the British government promoting regional growth. The articles included a disclosure saying the content was “brought to you by Grant Thornton New Zealand”. The Spinoff editor Toby Manhire told Mediawatch the Grant Thornton deal allowed the website to publish not only thought pieces from Grant Thornton staff but pieces by the likes of the Salvation Army's Alan Johnson. He said that in general organisations that sponsor The Spinoff do so in a similar way to Mazda sponsoring Campbell Live - there's no expectation of coverage. But in some cases, such as when AUT sponsored its society section, there was an agreement to feature monthly "partner content piece" - which was always labelled as such. So if comment is free – as C P Scott said – who’s paying the bill? Well, ultimately: advertisers which fund the news organisations that publish the vast bulk of opinion in New Zealand – with most of that opinion taking the form of regular columns; the public (through sponsorship deals from universities and other publicly funded organisations), government employed comms staff writing opinion pieces for their bosses, and RNZ commissioning op-eds for its web page; while think tanks and sector groups are picking up the tab for most op-eds. 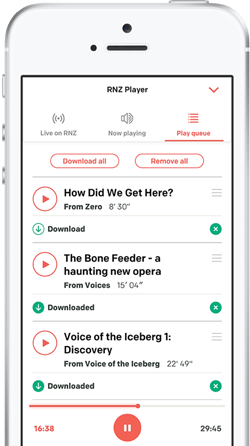 New start-ups, like E-Tangata, are also finding people are willing to pay to hear new voices.